Heavens, I have so many blogs if you do a general search or check out my websites, you'll find out more about me than you ever wanted to know. Enjoy and please keep in touch! I am proud to have been one of the sophomores/juniors who beat the seniors (ref 1976!!) in Powder Puff Football. Go US!!! Connie Dexter Spicer has left an In Memory comment for Tom Eckert. I'm sorry I wasn't aware of Tom's passing. He was always a wonderful, kind individual from my experience. Rest in peace; and prayers to his family. Connie Dexter Spicer has a birthday today. 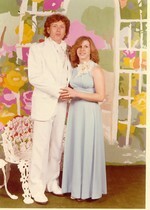 Connie Dexter Spicer added a comment on Profile. New comment added. Connie Dexter Spicer posted a message. New comment added. I had also wondered how you were doing. So nice to read that you are well. I would love to chat more. If you'd like would you email me? The address is dexterhistoriani at aol dot com or if you are on Facebook I am there under my full name. Hoping to hear from you! 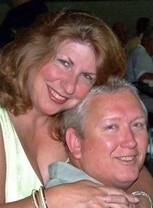 Connie Dexter Spicer added a comment on Profile. Connie Dexter Spicer updated profile. View. 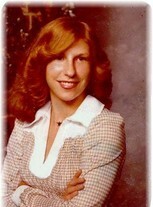 Connie Dexter Spicer changed "Now" picture. Connie Dexter Spicer changed "Then" picture. Connie Dexter Spicer changed profile picture.